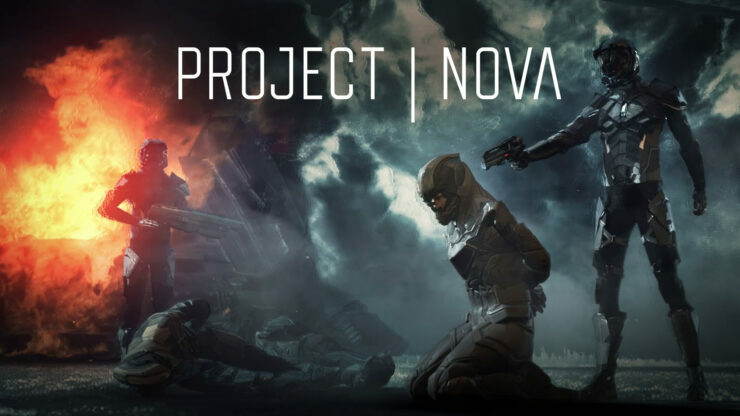 Project Nova, an upcoming online first-person shooter game set in the EVE universe, has been once again delayed by developer CCP Games. It was supposed to enter Closed Alpha in November, but the studio’s latest newsletter announced it’s going back to the drawing board. Stay tuned on Wccftech as we keep you in the loop with news about the project. At CCP, one of our core principles is that we work to provide our players with excellent experiences. This mindset can be found within every creative team working on bringing your beloved virtual worlds to life. This means that we keep challenging ourselves every step of the way by asking difficult questions when facing tough decisions – especially when this principle could be compromised. The development of Project Nova is an example of where this fundamental belief has been continuously exercised and put into practice. At EVE Vegas, we showed you the most recent iteration of our vision to provide an engaging and unique FPS experience to enrich the EVE Universe. Our goal for this was always to reinforce the ‘One War // One Universe’ gameplay and create a worthy spiritual successor to DUST 514 that has the potential to captivate not only existing Mercenaries and Capsuleers, but also to attract new adventurers into the ever-evolving world of New Eden. Over the course of Project Nova’s development, we conducted a number of player research sessions with external partners, tirelessly playtested the game internally and brought community stalwarts in to help us evaluate the project. Now, after taking all this research and feedback into account, we see that the gameplay experience in its current form does not live up to our original vision and would not achieve our ambitious goals for this project. As a result, we will not be moving forward with the upcoming invite-only Alpha until further notice. We are aware that many of you have been eagerly anticipating the moment when you can get your hands on Project Nova. Please accept our heartfelt apologies for the disappointment this will no doubt cause. We hope you understand that we need to take a step back and return to the drawing board, where we will spend more time figuring out how all this hard work can translate into something better and more meaningful for the EVE Universe. Remaining true to our vision of Project Nova’s future in connection with EVE is essential. That is the only way we will be able to continue creating memorable experiences that ensure you – our ineffable players – are satisfied and make us proud as developers. Project Nova continues to evolve and we remain committed to delivering a high-quality team-based shooter experience to EVE Online fans, while exploring new and exciting opportunities to integrate the two games. CCP is in no rush to release Project Nova until we’re satisfied it provides a rock-solid gameplay experience and visuals to match.